Party plates, napkins, tablecloths, etc., will also be solid colors. Colors available: Blue, Green, Purple, Pink, and Red. The Guest of Honor will receive a free T-Shirt! DIY party includes 2 hours of the party room. You are responsible for setting up, tableware, food, etc. 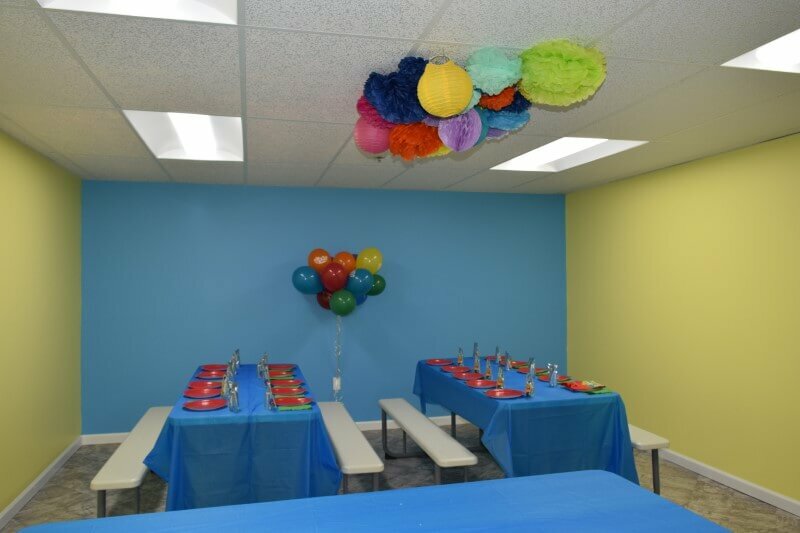 * Rooms are decorated with solid party colors-no themes. No confetti or Ice cream cake. Smash Cakes allowed when approved by management. Full use of facility for PRIVATE parties available. Minimum of 10 kids-Weekdays only-during school hours. 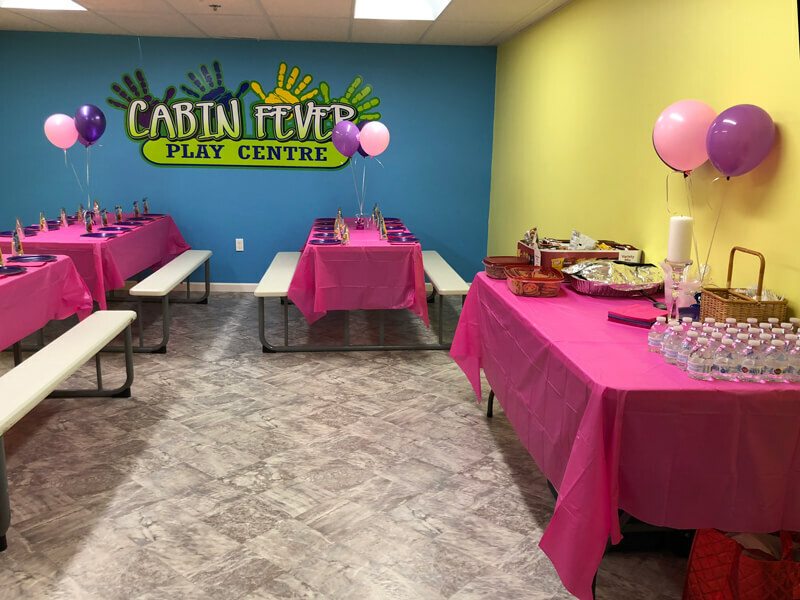 We offer a fun, safe, and clean indoor play environment. Our toddler area is enclosed with soft play, and sensory wall boards. 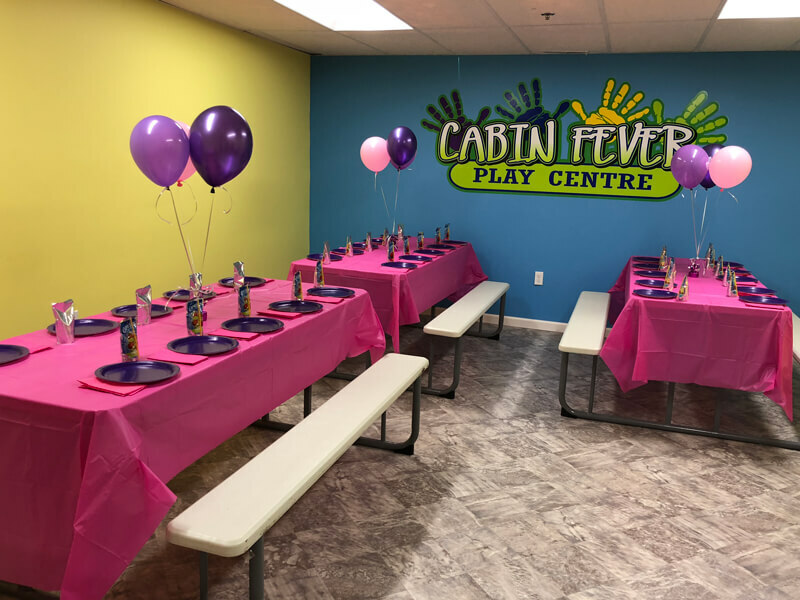 A private party room is available for lunch and/or snack time. We can provide juices/water and pizza, or you may bring your own. The main playground structure is 3 stories tall, with obstacle courses, slides, and much more. Our Ball Blaster Arena has a cannon that shoots out over 3,000 foam balls, catch them and use them for target practice with our ball blasters. Our giant version of the Light Bright, arcade games, and more.